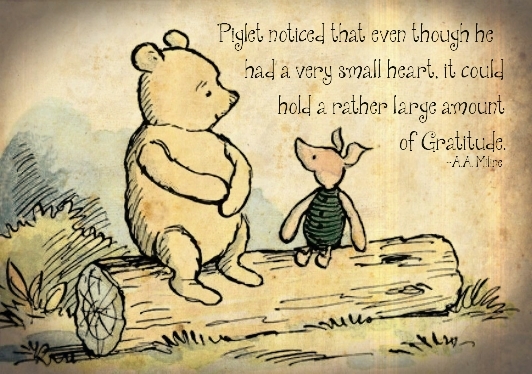 One Grateful : How Grateful looks from here- Bloghop! How Grateful looks from here- Bloghop! It's a Blog Hop!! 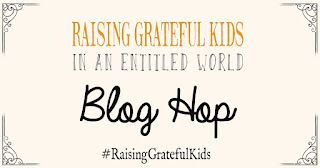 Scroll down to see other great posts about Raising Grateful Kids!! As I lay there waiting for a surge of serotonin to miraculously save me, I finally came back to reality and remembered very simply to be grateful. This is something that we have been working on in our house. 3 kids, 2 dogs and one busy life have distracted us a bit from stopping to observe our blessings and be grateful. We have just come off a big push getting our 2nd daughter off to college. We have been a little tired. We have one precious child left at home and we want to finish strong giving her the same discipline and values we have practiced over the years. We cannot afford to get lazy. I have been reading Raising Grateful Kids and was extremely convicted by the fact it brings up that if we want grateful kids rather than entitled ones, we ourselves have to show gratitude. I can't adopt the attitude that I am a certain stage in life and I deserve such and such . I can't expect my child to continue to have a grateful attitude when I am not displaying one. I have so many blessings that I take for granted every day: freedom, access to Scripture, health, children, marriage, living parents, running water, friends, the ability to read and many more. Many years ago we would talk about the best and worst of our day at the dinner table, we made Thursday into Thankful Thursday and would thank someone in our lives that we loved with a note, card or cookies. These small acts that my children did when younger were reminders to be thankful. Somewhere along the way we let these little acts slide off our radar. We have kept up with some habits. I am a stickler for hand written thank you notes. No text or email. This is a wonderful habit instilled in me by my parents, and I am glad I passed it on to my children. But more is needed, and the best place to start is with myself and my attitude. So as I lay there like Eyeore from Winnie the Pooh I had a decision to make: let the language of Whinese continue its rant or take inventory. I choose to the inventory. I opened my eyes and was grateful for sight. I listened and heard the dogs barking in the yard. I can hear- check. I have warm covers on me , I have a ceiling above me . As I place my feet on the floor, I am aware of a working body and a carpeted floor. I have warmth, shelter and health. I check my phone on my bedside table. There is text message from my daughter. I can read, I have access to communication, electricity and and a message from a beautiful child who loves me. That is 10 things I can be grateful for before I even take my first step of the day. We plan on bringing back best of day and Thankful Thursdays but if I am to be consistent on these small acts I have to first consistently have my thoughts be grateful. And my habits of gratitude will become my legacy of gratitude. And that is something worth getting out of bed for everyday. I've found keeping a gratitude journal to be therapeutic in reminding me of all that I have to be thankful for. And modeling gratitude has been the greatest tool in teaching my little one to be grateful. Thanks for sharing! I have done a personal gratitude journal but I think I will start a family one. Together being grateful. "3 kids, 2 dogs and one busy life have distracted us a bit from stopping to observe our blessings and be grateful. " Yes! I am so easily distracted from gratitude... and then I don't wonder until lunchtime why I've been so snappy all day, until I look back and realize that all my thoughts have been complaining ones. I am with you. I tried the rubber band trick that was suggested in the book. It made me painfully aware of the complaints. Then I worked at replacing those complaints with grateful thoughts. It is a conscious effort especially when the atmosphere around you (at work) encourages the opposite. Hang in there sister, we are going to get this!! I love this: "I can't adopt the attitude that I am a certain stage in life and I deserve such and such . 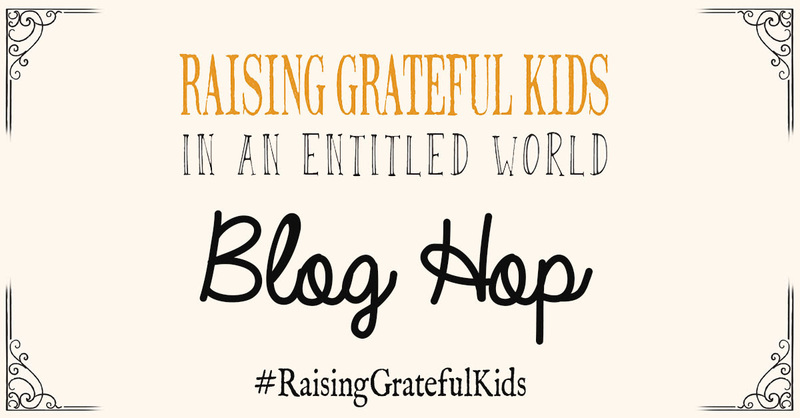 I can't expect my child to continue to have a grateful attitude when I am not displaying one." Gratitude...joy...patience...kindness...all of these things I'm short on in "this season" are things I'm expecting my kids to actively learn and demonstrate. How crazy am I to think that I am somehow exempt?! Ouch.